I can’t believe April 23rd is really here. I started this publishing journey a year ago and back then 4/23/13 seemed so far off. Now, it’s really here and that means Fuller’s Curse is really here. My story of accidental deaths, curses, good and evil is now available on Amazon. You can purchase the book for your Kindle, computer or SmartPhone at the low introductory price of $4.99 (limited time). For those of you who prefer the feel of a physical book in your hands (like me), the print version of Fuller’s Curse will be available in late May. Check back here (www.AnnFields.com) for the actual release date, but I’m shooting for May 23. And finally, for those of you who refuse to contribute to Amazon taking over the world but prefer ebooks, you will have the option of purchasing your ebook copy of Fuller’s Curse from Kobo, Smashwords, Barnes & Noble, Apple, and other e-tailers by the end of July. Some of you have been asking about a book release/launch party and I’m happy to tell you plans are underway. I don’t have the exact date yet because the party will be held in conjunction with the release of the print version of Fuller’s Curse. But I can tell you that the book release party will be a party in the fullest sense of the word with giveaways, fun, party pics, displays and more. Check my web site regularly as information will be posted and updated here. I can also tell you that the setting for the party…it will blow your mind! I promise. For those of you who entered the Discover Authors drawing for a free book–hold off on purchasing your copy. You may be the winner! Check your email this evening for the official results. Thanks to everyone who has supported me throughout this journey. Publishing is not easy. Writing is not easy. But both are made more enjoyable when the author is in the midst of caring family, friends and associates. God bless you and enjoy Fuller’s Curse. 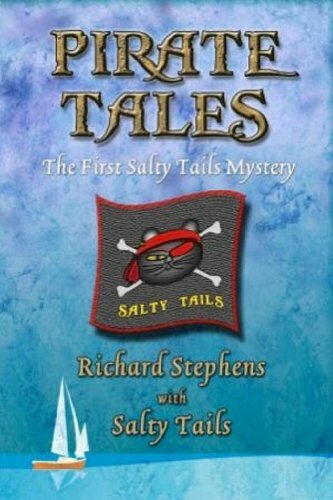 I am pleased to present author, Richard Stephens, a fellow Discover Authors writer. Make sure you get your free copy of this year’s great beach read. I am so happy to feature fellow Discover Authors writer, Kate Policani! 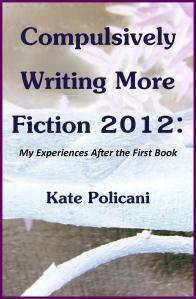 Kate Policani has compiled and ordered her useful blog posts from 2012. Kate writes her blog to promote her self-published books and to journal her path through self-publishing. Her experiences can help you to achieve your dream of publishing your book, whether you choose to self-publish, publish traditionally, or just write for your own enjoyment. Kate Policani is a homemaker and compulsive writer from Seattle who writes Fantasy and Science Fiction. She also writes a column for the Seattle Writing Examiner. Add this one to your library; it’s a must have. I am pleased to present fellow “Discover Authors” storyteller Vince Dickinson’s newest release, available now at Amazon. Song writer Max Edgars is married to alluring record executive Elleny Edgars, lives in a luxurious home in Oregon, and drives a brand new Jaguar. Trouble is; he doesn’t remember any of it. Elleny tells him he hit his head and that his memory will return. But then a strange man named Avery tells Max he’s his best friend from Iowa, and that a witch used a spell to abduct him. Then Max meets an old man named Desmond who tells him he has the fugue; a rare condition of the brain that makes people leave and never come back. Max starts to wonder why he can’t write new songs. Why won’t Elleny tell him about his life before the concussion? And why does Avery seem so familiar to him? Max learns he has kids and an ex-wife, but does not know where they are. So he takes a detour after a gig in Kansas City, and heads north to Iowa to unlock the mystery of his past. Fugue in C Minor is a spicy romantic thriller, with some passages inappropriate for children. Reviews on Amazon and goodreads.com are encouraged, invited and happily accepted. My Twelve-Year-Old Baby will be Born in Eleven Days! I’m so excited to announce the pending birth of my child–Fuller’s Curse. Fuller’s Curse has been twelve years in the making and there isn’t a strong enough word in the English language to describe my joy at its near arrival. After years of writing, rejections, rewriting, rejections, and more rewriting, finally a publishing contract landed on my desk only to be rescinded two months before the publication date. BUT, through it all my baby survived and it’s finally here. Or soon will be. Fuller’s Curse is a psychological horror story about a family that is cursed. When you think psychological horror think Stephen King, Dean Koontz, Octavia Butler, Tananarive Due and others of that ilk. This is NOT a vampire, werewolf, slasher (i.e.-Freddy Krueger, Michael Myers), monster book. It is horror with intelligence and emotional impact (not that the other categories of horror don’t have these). In fact, at its core, Fuller’s Curse is a simple tale of good versus evil. Since I had to re-organize my approach two months before publication and since I was dealing with limited human and financial resources, I had to stagger the release of Fuller’s Curse, meaning the ebook comes out first on Amazon (Kindle) on April 23, 2013; the print book follows in May (actual date to be announced but I’m shooting for May 23); and all other ebook formats will be released July 23. The ‘to-do’ list to publish a book is tremendous which is why I really wanted a publisher, a partner to handle the book production while I tackled the marketing, which is more my thing since I have a background in Communications (Marketing, PR, Publications, etc.). Well, obviously God had a different plan and as a mere human being, I’m rolling with His plan. So, read on for details about my baby and I certainly would appreciate your support in the form of a purchase. I’d also like to read your feedback once you’ve finished reading the book so be sure and write a review, or email feedback to afields121@yahoo.com. Deborah Fuller-King is a bored homemaker who finds new purpose for her life when she adopts her daughter’s school project—completing the Fuller family tree. In search of her roots, she travels from Dallas to Partway, Texas where in the 1860’s Charles Fuller, a newly-freed African American slave, founded the town that was originally named Fullertown. There, her genealogical research reveals some terrifying information about her family—part fact, part legend. While delving into the facts, hoping to disprove the legend of the BlackHeart, family members begin to die horrible deaths—one by one. 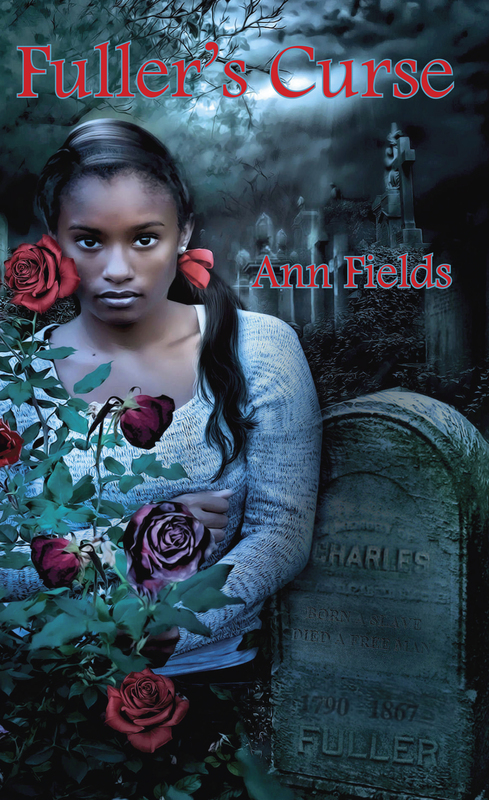 Alarmed and frightened, Deborah turns to the one person who knows everything about the family…Mattie Fuller. Ninety-something-year-old Mattie knows the answers that Deborah seeks, but she’s not ready to share her knowledge with Deborah. Not yet. She could tell Deborah all about the curse that shadows their family, but to share the information would unleash a hellstorm that would destroy the entire Fuller clan. Instead, Mattie confides the only thing that can be done to save the Fullers—a sacrifice so complete that it would free not only the Fullers, but other cursed families. Does Deborah have the courage to complete the saving act and thereby end the Fuller’s curse? To celebrate the book’s release, I am offering a free copy of Fuller’s Curse to one lucky reader, regardless of whether you have landed on this page as a result of Discover Authors, site/blog surfing, Amazon, word-of-mouth, etc. To enter the drawing, simply email me at afields121@yahoo.com. In the Subject field, type Discover Authors Giveaway. That’s it. You don’t even need to type anything in the body of the email unless you want to. The drawing will be April 23–the date of the book’s release. The winner will be notified via email. Also, if you’d like to score more free books, visit the Discover Authors web site and browse. There’s all kinds of freebies and giveaways there. Again, thank you for your support and next task–buy cigars!